We're in an exciting time in the Pokemon TCG. The last year has seen huge growth in the game: "pro teams" with sponsored players; competitive articles and databases (love you, Limitless); and tournament streams and just general interest in competitive play. I started playing about two years ago and in that time I've probably seen attendance at my local events double. Of course, I'd like to think yours truly has played some role in expanding journalistic and statistical coverage of the game on social media. It's been very rewarding. As we close out the first quarter of the 2017-18 season, with no major tournaments from October 15 to November 17 (and only a few League Cups), the format is approaching a massive influx of new cards. Both Shining Legends and Crimson Invasion have been released within a few weeks of each other, leading to almost 250 new cards being legal for upcoming Cups and, more importantly, the European Intercontinental Championships in London. Last week I posted about some SHL predictions from PokeStats's expert panel and linked to some useful articles, so go check that out if you haven't already. Tonight I'm going to provide some coverage in a form I haven't done much of thus far: analyzing the top 16 players in the US and Canada as Q1 comes to a close. I'll look at the decks each player has used and how they've performed at the tournaments they've attended as they chase their goal (I assume) of a Day 2 Worlds Invite. Notes: Chen is on pace for 2080 CP this season, which would be equivalent to more than four Worlds invites. (He finished first in the US/Canada rankings in 2016-17 with 1590 CP.) Chen's major tournament wins this season have been with four different decks, a testament to his ability to pick up practically any deck and do well with it. 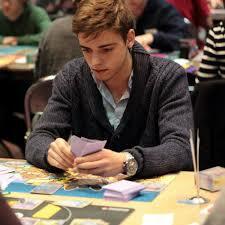 For example, he had never played a game using Turbo Turtonator-GX until Round 1 of Fort Wayne! Notes: Thanks, Tord! 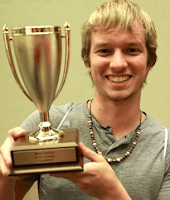 Tord Reklev's defeat of Sabelhaus at last season's NAIC put Sabelhaus just out of reach of the coveted 16th Day 2 invite spot to close the season, leaving it to Alex Hill instead. After that disappointment, Sabelhaus has not let up, making Day 2 at three Regionals and Top 8 at two of those this season, along with presumably a 1st and a 2nd at Cups (200 + 100 + 80 + 50 + 40 = 470). He's been known as one of the country's best players for some time and this year he's going to get another chance to maintain that recognition. Notes: A first-year Master, Long is fresh off a second-place finish at Worlds and is looking to prove himself in the highest age division. 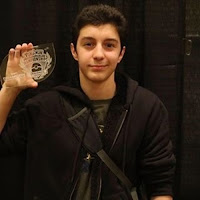 He's been more than adequate at doing so, becoming known as perhaps the best Greninja player in the world (alongside fellow first-year Master Jon Eng) in the process. Accusations of cheating dogged Long throughout last season; this year he's out to secure a Day 2 invite and prove that his success comes purely from skill. Notes: Last season, the ultra-consistent Griego was known for playing Dark decks, either Yveltal-EX or Turbo Darkrai. This season his go-to deck seems to be Garbodor. 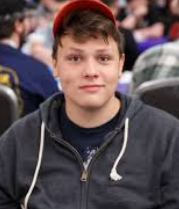 He was one of the original progenitors of the Garbodor Toolbox deck that took multiple Top 32 spots in Fort Wayne before making up half of the Daytona Top 8 and winning that event under Ryan Sabelhaus (Griego took 3rd with the same list). Vancouver saw him choose Garbodor again (this time in Standard) for his second Day 2 of the season. Griego was the only US/Canada player to win two Regionals in 2016-17 and it would not be a surprise to see him take another one this season. Notes: So far this season, Pramawat, undoubtedly one of the greatest Pokemon TCG players of all time, has ridden on the success of his incredible 6th Regional win to kick off the season. For the following two Regionals, he played the decks that ultimately ended up winning both events (Volcanion for Hartford, Garbodor for Daytona) but was unable to Day 2 either one. (48th at the second-largest Regional of all time is still nothing to shake a stick at, of course.) 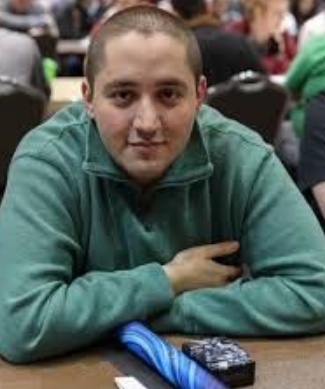 He's also put up a pair of Cup wins to keep him in the running, including a recent one with a fresh take on Gardevoir-GX that might influence Gardy lists in the weeks and months to come. It was the exact opposite of a shock to me when I saw Eric Gansman posting Cup results in HeyFonte involving Pramawat and stating, "if Pram wins, he gets his invite." He won, of course, because he's Michael Pramawat, and he's going back to Worlds again. Notes: Second only to Sam Chen in last season's final CP rankings, Costa has been one of the world's top players dating back to his 2012 Worlds win. So far this season he hasn't Day 2'd as many Regionals as some players on this list, but he's made up for that by going all the way to first place in Hartford, the second-largest Regional of all time, defeating Michael Long in the finals despite Long's Water-vs-Fire type advantage. Expect to see him stay inside the Top 10, and likely Top 5, in US/Canada all season long. He's only 8 CP shy of his invite, the highest player on this list to not yet have his invite locked up. Notes: "Ryan Allred" was not a name on many players' radar entering this season, but three Regional Day 2s (plus a 52nd at the largest one of all time) later, he's shown he's definitely a player to watch. His playstyle looks to favor hard-hitting aggro decks: Volcanion in Standard; Turbo Dark in Expanded. We'll see if he continues with this trend moving forward. Oh, and how's this for a statistic: despite being the #7-ranked player in the country, Allred isn't even the highest-ranked player named Ryan in South Carolina. Sabelhaus has him beat there! Notes: Perhaps the strongest member of a stacked SixPrizes team, Pero just took third place at the 2017 World Championships and has put together a pair of strong Regional finishes after a lackluster start to this season. In 2016-17 he almost exclusively piloted M Gardevoir-EX STS; this year his deck of choice seems to be Garbodor variants. Notes: Siakala has favored hard-hitting decks (particularly Turbo Dark) over the last couple of seasons, although he did make the switch to Greninja for Hartford (perhaps not coincidentally, that was his lowest finish of this season). He hasn't made Day 2 since Fort Wayne, but there he took third overall at the largest Regional in history, so he's got nothing to complain about. 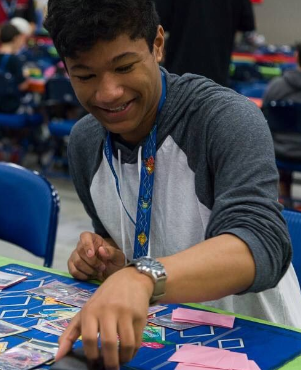 Notes: Another first-year Master, Eng has been partially responsible for Greninja's renewed hype in Standard this season (his partner-in-crime Michael Long is also to blame). He became the youngest player to be signed to a pro team a few weeks ago when ARG brought him on board to join the likes of Michael Pramawat, Connor Finton, Jose Marrero, and others, and his success appears to be just getting started. Notes: A Top 8 in Hartford gave Kica 100 CP; he won 2 Cups for 100 more; and a further 102 came from finishes outside Day 2 of Regionals. 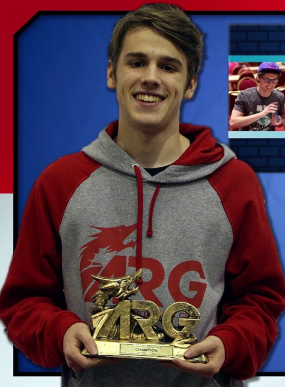 He doesn't have the resume of some of the other players on this list (at least so far), but he's been known to create some crafty decks and he is undoubtedly the greatest Night March player of all time. Give him more opportunities to March all over the Expanded format and I'd expect him to stay inside the Top 16. 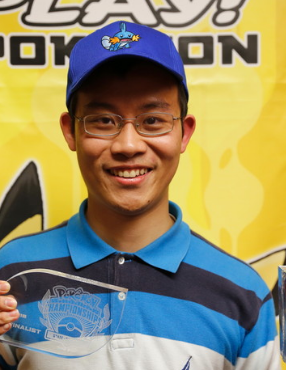 Notes: One of the country's most accomplished Trevenant players, Zhang stuck with the deck when most considered it dead - and it paid off, as players at Daytona weren't prepared for Forest's Curse and Silent Fear, and Zhang was able to reach 2nd place. It's entirely possible we haven't seen the last of Trevenant from him this season. Notes: Clearly, Tarbell's got a pet deck, combining the power of Golisopod-GX with the switching ability of Zoroark BRT. He's played the deck in both Standard and Expanded, and no exact list is currently available, suggesting he's keeping the deck under wraps to get even more mileage out of it. Notes: Manley has always been known as a player who defies the normal meta decks and concocts some crazy rogue, and then somehow succeeds against all expectations. 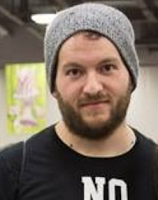 He took Quad Wobbuffet to the finals of a Regional. 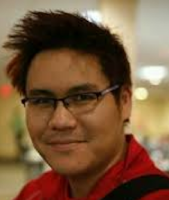 He played M Scizor-EX at Worlds last year. He brought back the Carbink BREAK Expanded toolbox deck he created in 2016 (made famous by Sam Chen and Russell Laparre). 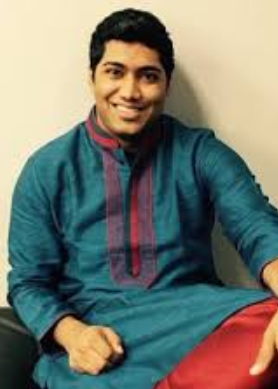 He actually played VikaBulu at a major event. And most recently, he put Poison Barb in a competitive deck and then went and made Top 8 with it. Any time Manley shows up to a tournament and drops his binder on the floor, whatever cards fall out are bound to make it to a high finish, and if he continues his rogue success he'll be sitting pretty in the top 16 all season. Notes: Reddy came close to finishing in the top 16 last season; this season he's been among the most vocal players chasing that Day 2 invite. 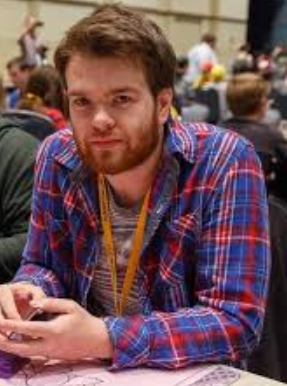 Garbodor Toolbox got him 25th at Daytona and a pair of Cup wins netted him another good chunk of CP, but perhaps his most significant contribution to the season so far was creating the "Turbo Turtles" deck that took Fort Wayne Regionals by storm. 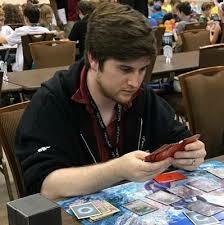 Notes: Another player who consistently makes Day 2 at large events, Curcio has stuck with Garbodor decks this season. He has yet to crack Top 8 at a major tournament, but you can be sure he'll hit at least one (and probably a few more) during the rest of the season. Notes: To his credit, Archer-Tang is a first-year Master who clearly has some skill at this game. But literal audio evidence exists of him admitting to cheating, and that's not acceptable. (Somehow he has not yet been banned or otherwise punished.) It's no wonder many of the players hovering around his 16th-place mark are hot-blooded at the thought of beating him in the CP race and knocking him out of a free trip to Day 2 of Worlds.